Successful businesses have established standards to meet their customer’s needs and wants. It doesn’t matter if the business is service oriented or product producing. The quality of your service or product must be consistent. Consistency can only occur when management has established the standards, trained their workers on how to use the standards, and then monitor through quality control inspections that the standards are being followed. The documents that detail the standards are usually referred to as Work Instructions. 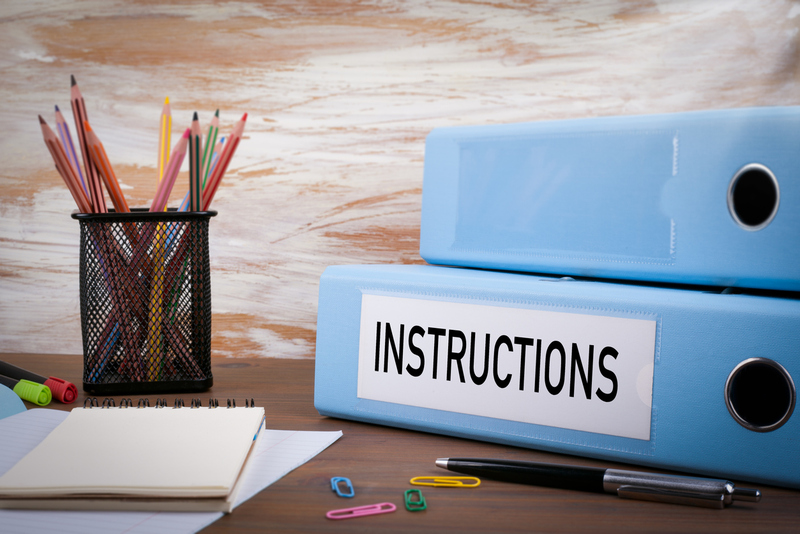 In a Quality System, as required by the Food and Drug Administration (FDA) and other third-party quality systems, Work Instructions are the third level documentation in the hierarchy of the document control system. They are used as a part of the training program for workers and are made available in the work areas as a resource and reference tool as needed by workers. Creating the Work instructions can be a tedious process. A standard format for the Work Instructions should be developed. It’s best for Work Instructions to be created from the perspective of the person who will be performing the job. The optimal solution is to involve the employees in the instructions’ creation or have them create the instructions entirely. Ease of reading and following the Work Instructions is also critical. Work Instructions should be well laid out and accompanied by graphical representations or photographs to add clarity. If Work Instructions are not formatted appealingly, the human eye simply won’t process the information on the printed page or electronic display. Standards can change due to the addition of new services or products, when different equipment or materials are used to carry out the function of the Work Instruction, and/or to improve the Work Instruction. Workers can make recommendations to change a Work Instruction through a document change control procedure. No one should change an instruction until it has been evaluated and approved by management. Work Instructions must be reviewed periodically. Make this review a part of at least an annual review process to ensure that your Work Instructions are kept current. Changes to Work Instructions go through your change procedure. What can SafeLink Consulting do for my business? We address your business needs whether they are a basic quality system or safety program to an expanded quality system to improve good business practices or comprehensive safety plan. We provide customized programs specific to your business model. SafeLink Consulting offers your business the whole package on quality systems, safety programs, patient security and chairside services plus compliance with FDA, OSHA & HIPAA. For over 25 years SafeLink has been helping the dental industry with compliance. Our staff, including CDT’s and former lab owners, has over 100 years of combined experience in the dental environment. SafeLink also has Authorized OSHA Outreach Trainers on staff, DAMAS certification auditors, and third-party quality auditors on staff who are ASQ certified. Our clients also benefit from our broad experience with Quality System development for other medical device manufacturers. We also offer risk assessments, cloud-based data management programs, ISO registration and FDA 510k submission assistance. We are one of the premier FDA consulting firms in the dental industry assisting labs with medical device US import requirements. Our FDA compliance consultants are knowledgeable of the dental environment. Learn more about specific quality/FDA topics by taking any of our educational, online courses available 24/7 when it’s convenient for you. Contact us to learn more. Are you a manufacturer of dental devices? Need Quality System consulting or other dental compliance services?